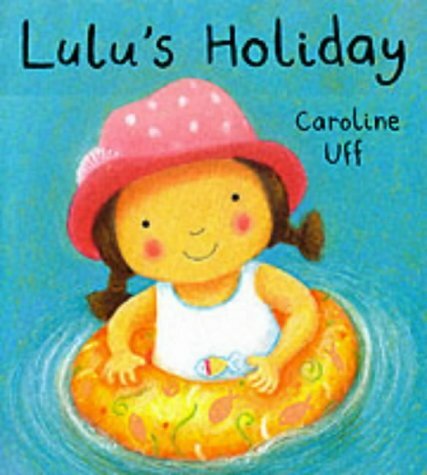 We are never far away from Lulu's round, smiley, currant bun of a face as she goes on her seaside holiday. We watch her packing, travelling on the train to her holiday home with her sister and baby brother, making sand-castles, opening up the picnic hamper and so on. Mum and Dad are not too far away when it comes to paddling or time to go home. The illustrations are large scale, cheerfully painted with enough detail (and no more) to be pointed at and perhaps identified by the sharing listener. The words too are there to be shared. Sometimes the narrative voice chatters away to Lulu as she waves out of the page to us; and sometimes the voice talks to us about what Lulu is up to. The words may invite an answer or a comment, or beg to be sounded out by infant tongues ('splish, splash', 'clickety clack over the track', 'jiggety jig'). This is one of those texts small children take over and - as they will be reminded in later years - are discovered reading aloud by themselves.